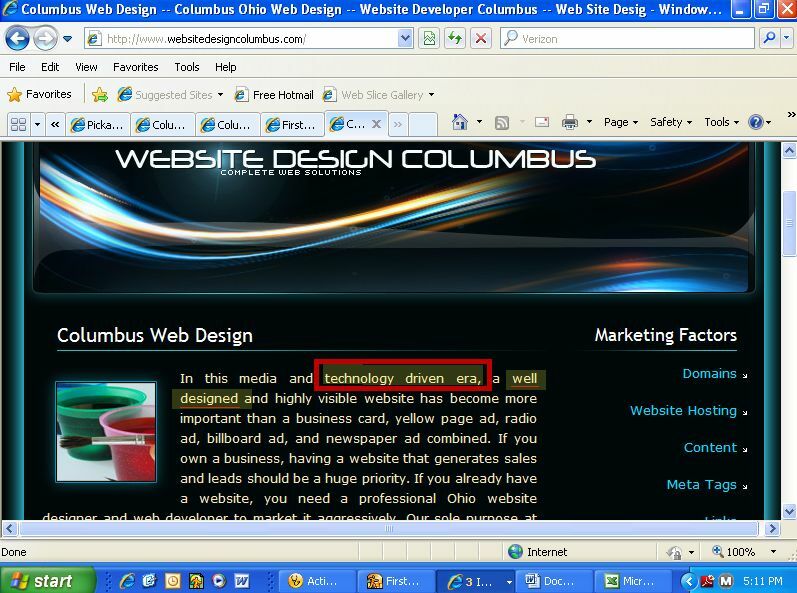 Here's a screen shot from Website Design Columbus. Their very first sentence talks about our technology driven era. So, this technology era that we live in--what exactly is it driven by? Next, they ironically talk about a well designed and highly visible website. So, this designed website--just how well is it? What sophomoric errors! Did they even bother to proof-read this? Even once? And these guys want to design your website!